* Foreign "terrorists" who were clever enough to coordinate hijacking four commercial airliners seemingly did not know that the least damage to the Pentagon would be done by hitting its west wing. How is this possible? * Secretary of Transportation Norman Mineta, in an underground bunker at the White House, watched Vice President Cheney castigate a young officer for asking, as the plane drew closer and closer to the Pentagon, "Do the orders still stand?" The order cannot have been to shoot it down, but must have been the opposite. How is this possible? * The Pentagon conducted a training exercise called "MASCAL" simulating the crash of a Boeing 757 into the building on 24 October 2000, and yet Condoleezza Rice, among others, has repeatedly asserted that "no one ever imagined" a domestic airplane could be used as a weapon. How is this possible? lots of questions there maggin, got any answers? I have an opinion but no I don't have the answers to these questions and they do need to be answered. However, if they were answered, it might bring down those in the highest positions in the government of the U.S. That, IMO, would be the best thing that could happen to this country at this time. Alex speaks with the suddenly controversial Brigham Young University Physics Professor about his recent realization that the WTC towers were destroyed by bombs and not planes on September 11th. Most of those questions have been answered. Do you have a link to the BBC report about the terrorists? Or a link about the air traffic controller interviews? Of course, this work could be reproduced. Why hasn't it been? I've seen a documentary showing how heat from the burning fuel could soften the girders (especially where inadequately insulated) causing them to distort and come away from their mounting brackets. But the collapse of building 7 really is a mystery, unless it was deemed to be in a dangerous state and deliberately brought down. Was it? I think Steven Jones makes a real case for demolition. The interview I posted is well worth the time it takes to read it. This is in the same catagory as the JFK assination. Everyone was sure that the wounds couldn't have been caused by one bullet but science has proven it could have. Still, people say "That could never happen!" Why? Because people want to believe what they want to believe. I am not saying that I have answers to the questions but if you want to say things didn't or couldn't happen, show me some scientific research proving it. Just because the questions have been asked does not give them merit, or even suggest that they are the right questions if you are looking for the truth. Posing a question is easy. Looking for answers in an unbiased fashion is not. The neat thing about consipiracy theories is that they live and breath with very little, if any scientific basis. Thanks for posting the article Blueflame1, but really it sounds like the guy was looking at video and running equations. Fine, but equations have a whole laundry list of assumption. Wrong assumptions, wrong result. It's interesting that so many people are more likely to believe the theories of folks who havent' actually examined the physical evidence. We should apply the same degree of skepticism to the conspiracy theorists (probably more, actually) that we apply to the government explanation. We should apply the same degree of skepticism to the conspiracy theorists (probably more, actually) that we apply to the government explanation. Surely you cannot be skeptical about what happened on 9/11? We all saw it on tv. Well then why did these so called experts TELL us what happened? Re: Experts Claim Official 9-11 Story is a Hoax ! FINALLY! As the "author" of the "old Bush Aftermath" thread, I'm at a loss to figure out what power you think I wield over whether that thread is locked or not. I'm not sure why it's locked, but I just feel terrible that you aren't able to spam it up as you would like. It has been locked in the past, usually when visiting leftists such as yourself demonstrate a lack of ability to communicate civilly. So my question is, what's with your attempt to lend this spurious press release legitimacy by attaching the news.yahoo.com link, to make it appear as if this was a story put out by a legitimate news wire? You really dont think Mags will admit to lying about anything,do you? But the collapse of building 7 really is a mystery, unless it was deemed to be in a dangerous state and deliberately brought down. Was it? It was deliberately brought down. I've seen the PBS interview where Larry Silverstein said that, quote, "the fire department told him the building needed to be 'pulled,'" and so they did so. Later on he retracted that claim, just in time for the insurance money to come in. But I know what I saw. Good so thats one little mystery solved. Building 7 was demolished because it was unsafe. No mystery at all. Why is this not common knowledge? 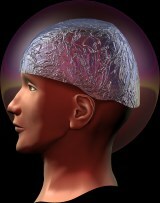 Aluminum Foil Deflector Beanie , don't leave home without it. Because this isn't the official story. And most people never question anything the gov't says, ever. They simply can't be bothered. I'm not sure why they 'pulled' the building and then later claimed that they didn't. My guess would be the fact that the NYC emergency C&C center for the city was in that building, and the records there had a good chance of not matching the 'official' records later on. But that's just a guess.